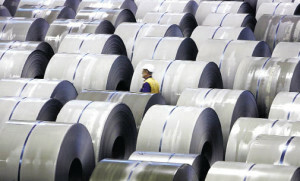 SSAB is a leading global provider of high-strength steel. SSAB offers products developed in close cooperation with customers, to create a stronger, lighter and more sustainable world. SSAB has employees in over 45 countries and production facilities in Sweden and the United States. SSAB is listed on the OMX Nordic Exchange, Stockholm. 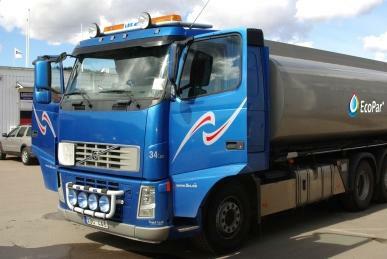 By using high-tensile steel containers, Pastre saves enough fuel to run every 20th transport ”for free”. Lightweight, high-strength steel offers material savings both in its production and for end-users like transport vehicles, loaders and cranes. High-strength steel provides a longer life and offers lower fuel consumption. These are characteristics that are increasingly in demand as rising energy prices and increased environmental awareness come into focus. This is SSAB’s way of leveraging its high-strength steel on the environment. But iron ore-based steel manufacturing creates large emissions of carbon dioxide. SSAB is already a world leader in reducing emissions from production and continuously tweaks its processes. SSAB actively participates in international research projects aiming to halve carbon dioxide emissions from steel production. The company also participates in projects that aim to store carbon dioxide. The new and lighter steel from SSAB has a lesser impact on the environment. The increasing demand for high-strength steel is driven both by stronger environmental awareness and the need for customers to increase revenues and reduce their energy consumption. Since new material properties often allow for novel engineering solutions, SSAB’s service engineers often work side by side with customers to decide on materials and concept designs to achieve significant weight reductions in the final product. 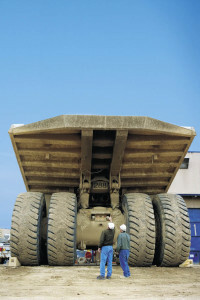 Hardox steel, manufactured by SSAB, is often chosen for truck beds because of its combination of wear resistance and better impact resistance. Domex high strength steel is often used in trailer chassis where weight reduction is a primary concern. Through a combination of grades of Hardox in truck beds and Domex in the chassis, a 40-ton truck could reduce the weight of its truck bed by 1.3 tons. Load capacity and life expectancy increased while shock resistance was improved. “This specific customer example demonstrates the large improvements that can be achieved through the cooperation between our customers and SSAB’s customer service engineers,” says Claes Löwgren, Senior Researcher, Market Research and Development, SSAB. SSAB has developed software for financial analysis, where the customer can fill in different parameters in a computational model based on economic conditions and various factors that may affect the product’s features and performance.